When a long-term asset is purchased, it is often capitalized instead of being expensed in the given period. This is because that asset will generally still be economically useful and generate returns beyond that accounting period, so expensing it in that period will overstate the expense in that period and understate it in all future periods. 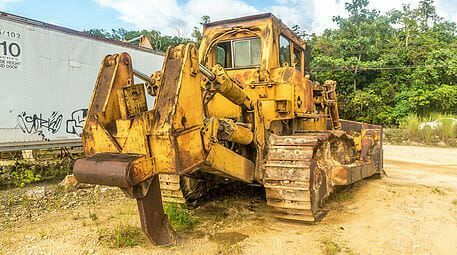 To avoid this, depreciation expense is used to better match the expense of a long-term assetPP&E (Property, Plant and Equipment)PP&E (Property, Plant, and Equipment) is one of the core non-current assets found on the balance sheet. PP&E is impacted by Capex, Depreciation and Acquisitions/Dispositions of fixed assets. These assets play a key part in the financial planning and analysis of a company’s operations and future expenditures to the revenueSales RevenueSales revenue is the starting point of the income statement. Sales or revenue is the money earned from the company providing its goods or services, income it generates. There are different methods used to calculate depreciation expense, and the type of depreciation accounting used is generally selected to match the nature of the equipmentPP&E (Property, Plant and Equipment)PP&E (Property, Plant, and Equipment) is one of the core non-current assets found on the balance sheet. PP&E is impacted by Capex, Depreciation and Acquisitions/Dispositions of fixed assets. These assets play a key part in the financial planning and analysis of a company’s operations and future expenditures. For example, for vehicles that depreciate much faster in the first few years, an accelerated depreciation method is often chosen. What are the Depreciation Expense Methods? This is the most commonly used method of depreciation and is also the easiest to calculate. This method simply takes an equal expense over the useful life of the asset. For example, Company A purchases a building for $50,000,000 to be used over 25 years with no residual value. Depreciation expense is $2,000,000, which is found by dividing $50,000,000 by 25. To learn more, check out our free accounting fundamentals course. A declining balance depreciation is used when the asset depreciates faster in earlier years. As the name implies, the depreciation expense declines over time. To do this, the accountant picks a factor higher than one. In a straight line depreciation, the expense is found by multiplying the fair value with 1 / useful life. In this calculation, the factor is 1. In a declining balance, the factor can be 1.5, 2 or more. A 2 factor declining balance is known as a double-declining balance. The depreciation expense changes every year, because it is multiplied with the beginning value of the asset, which decreases over time due to accumulated depreciation. Note that residual value is ignored under declining balance. For example, Company A has a vehicle worth $100,000, with a useful life of 5 years. They want to depreciate with the double-declining balance. In the first year, depreciation is expense is $40,000 ($100,000 * 2 / 5). In the next year, depreciation expense is $24,000 ( ($100,000 – $40,000) * 2 / 5). See how declining balance is used in our financial modelling course. Under this method, the depreciation expense per unit produced is found by dividing the fair value less residual value of the asset with the useful life in units. This method sets a higher expense when production is high, to match the usage of the equipment. This method is also most useful for production machinery. Unit depreciation is commonly used in mining operations. Check out our financial modelling course specialized for the mining industry.